1. All Fiberglass Frame: This greatly reduces the risk of accidental electrocutions. 2. Lighter in Weight: The FBR conveyor weighs less than the metal conveyors. 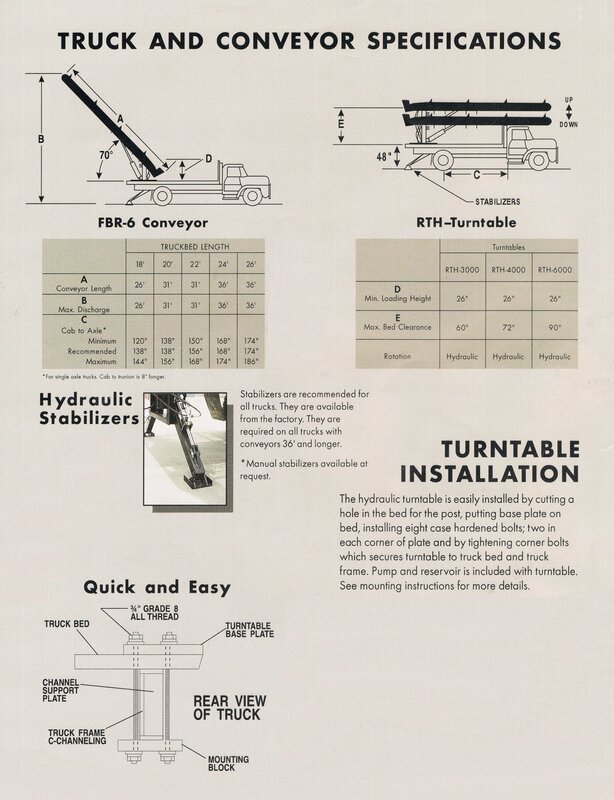 This reduces the stress and pressure in the turntable and the truck bed area which in turn gives a longer life to the equipment. 6. 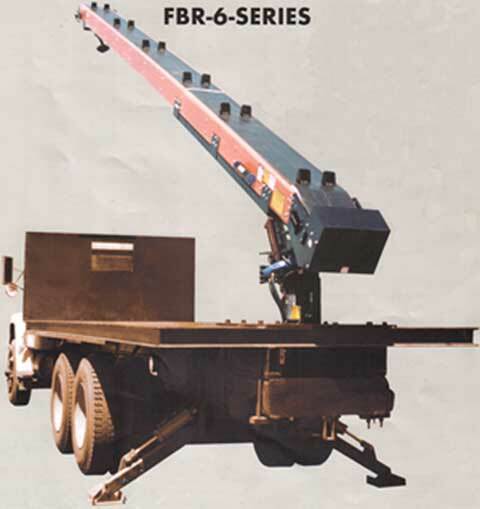 No Welding Required for Assembly or Repair: The FBR conveyor is assembled using different types of fasteners. There is no welding done on this conveyor except for some of the parts that are used . This makes the assembly and disassembly easier and less expensive for repair. 7. No Rust of Metal Fatigue: Fiberglass doesn't rust. This greatly reduces the cost and time involved in the repair and replacing of the conveyor frame. Also, rust will cause metal to fatigue and deteriorate with will weaken over time. Fiberglass help eliminate this problem.